As banks take turns inventing new fees and hiking existing ones, you may think there's no escaping your bank's dirty tricks. But we found 8 with zero ATM fees, free checking and high-yielding accounts. This Internet bank won't charge you monthly maintenance fees or require you to keep a minimum balance. And you can use any ATM for free because Ally charges no fees and reimburses you for any front-end charges. 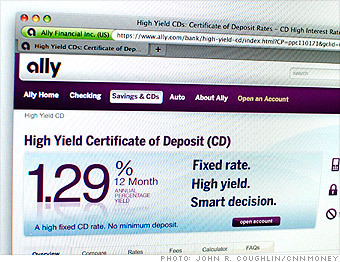 While you would be lucky to find an interest rate of 0.25% at the megabanks, Ally's Interest Checking account, which launched last year, currently offers a rate of 1.05% APY (annual percentage yield) if you keep a balance of at least $15,000 in your account. If your balance is under $15,000, you still get a rate of 0.5%. One downside: You can't easily deposit checks at a branch or via smartphone. But Ally does give customers postage-paid envelopes to mail in deposits. You can also move money between Ally checking account and other banks free of charge.